Don’t miss this super-powered episode! This week the guys talk about the all new trailer for Avengers 2 during this week’s #TweetTheGeeks, which leads them into the featured topic of the week: superheroes and villains! After the break, Halloween traditions are explored. 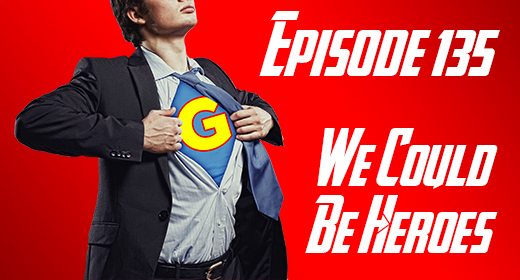 Don’t miss the resurrection of the JustUs Geeks Game of the Week. As well as That’s My Jam! and Apps of the Week! Marvel CMU Phase 3 – BRING IT ON! Jana Carol liked this on Facebook.